Hi Friends…! After A Long Research… Today We Are Back With Most Wanted Wifi Hacking App, Which Will Really Amaze You With Its Features And Its Capicity To Hack Wifi Network Effectively. And This App Will Helps You To Crack Any Wpa/Wps Enabled Wifi Networks. And Now Without Wasting Any More Time Come Let Us Go To Actuall Steps To Make Use Of This Wifi Tool. Your Phone Must Be Rooted!!! In Order To Hack Wifi Network You Need To Download “Wifi Wpa Wps Tester” App From Here. Then Switch On Your Wifi Network And Scan For Available Wpa/Wps Wifi Network. As Soon As You Notice Available Wifi Network Then Open “Wifi Wpa Wps Tester” App. Now You Need To Click On Green Colour Reffresh Button And It Will Show You All Available Networks There. Now Just Click On [Green Colour Locked Key Locker] Symbol And Click On Try To Connect Network Option. Now You Can See Password Of That Wifi In The Above Given Code, Which Is Coated Just Infront Of The Text Psk. For Ex: In The Above Case The Password Of The Wifi Network is password. Yipeee! You Are Done! 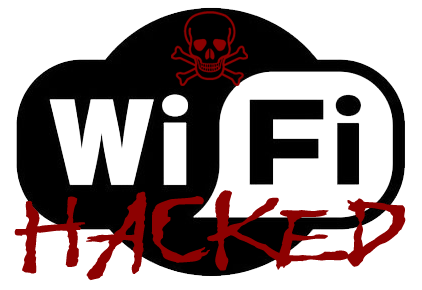 You Have Hacked Wifi Network Sucessfully….. This Wifi Hacking Tool Will Only Work On wpa/wps Wifi Networks So Don’t Try With Just wpa Or Wpa2 Networks And Don’t Loose Your Hope. Even Though You Try Hack wpa/wps Networks Some Times It Failed To Hack And Its Due To You Are Too Far Away From Router Or Rourter Is Not Vunerable To Hack. Please Don’t Try This With Public Wifi Networks As It Was Illegal To Do That. This Post Is Just For Educational Purpose And To Retrive Your Own Password Of Your Own Wifi Network. And We Don’t Take Any Responsiblity Of Any Missuse Of This Tool Or This Article. For More Best And Intresting Tweaks N Hacks Please Like Our Facebook Fan Page Or Subscribe To Our Website By Email To Get Email Alerts When New Article Is Posted. If You Feel Any Difficulties Let Me Know In Comments.